The phone jacks just pass the audio through from one 3.5mm jack to the other, but does have an internal jumper to short the ring and tip together for mono output on stereo headphones. The interface allows connecting an external microphone via a 3.5mm jack and there's an on-board jumper to pass phantom power if using an electret condenser mic. This will be useful for connecting the BM-800 mic to the FT-817. The red LED is just a power indicator. 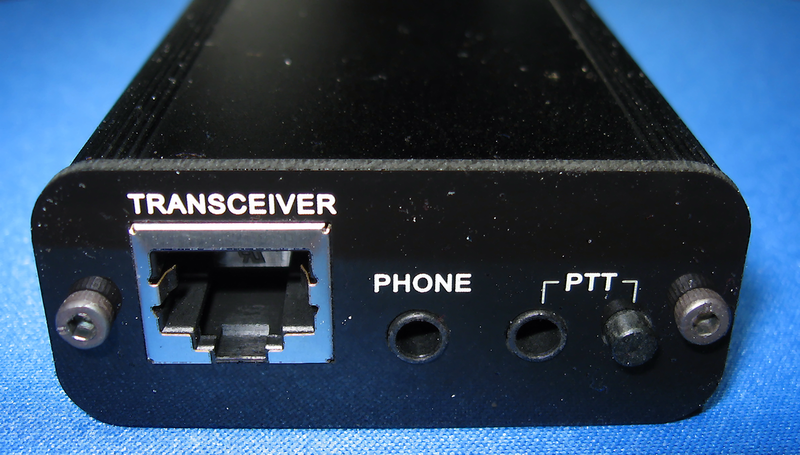 The adapter connects with the radio through the transceiver's microphone jack, which is where it gets +5VDC to use as phantom power. There is also a 3.5mm jack for a PTT switch which I will use. And there is a PTT button which I found good for testing, but not really convenient for normal use. Disassembled views top and bottom of the PCB. 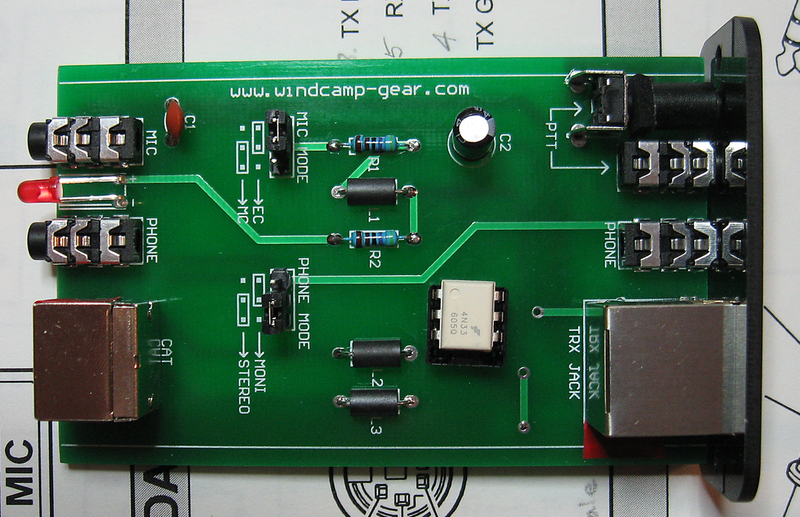 There are no components requiring power on the PC board except the LED, which taps off the +5-volt line from the Transceiver's RJ-45 microphone connector. Here's the only issue I could find with the workmanship. 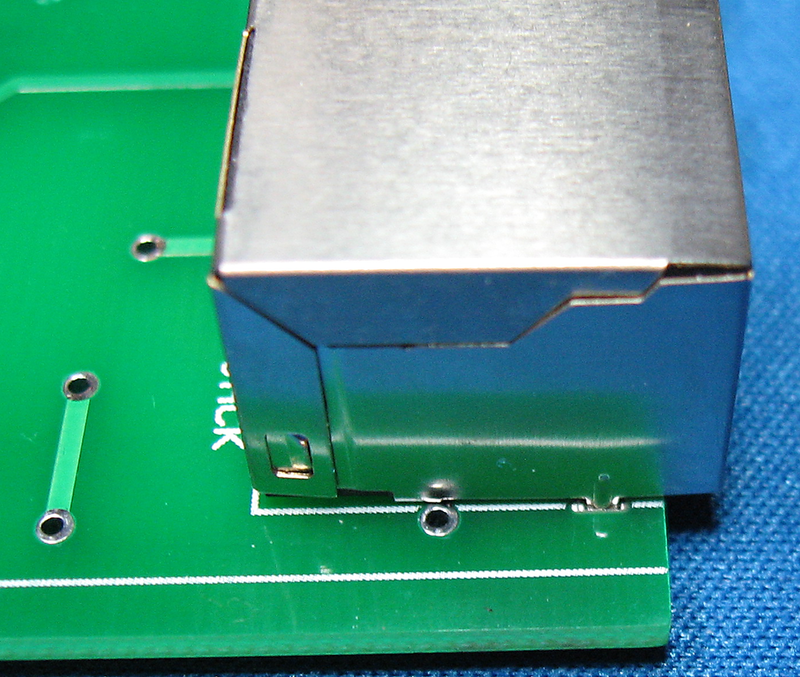 The pictured through-hole for the +5VDC line is so close to the grounded shield of the RJ-45 I'm amazed they weren't shorted. 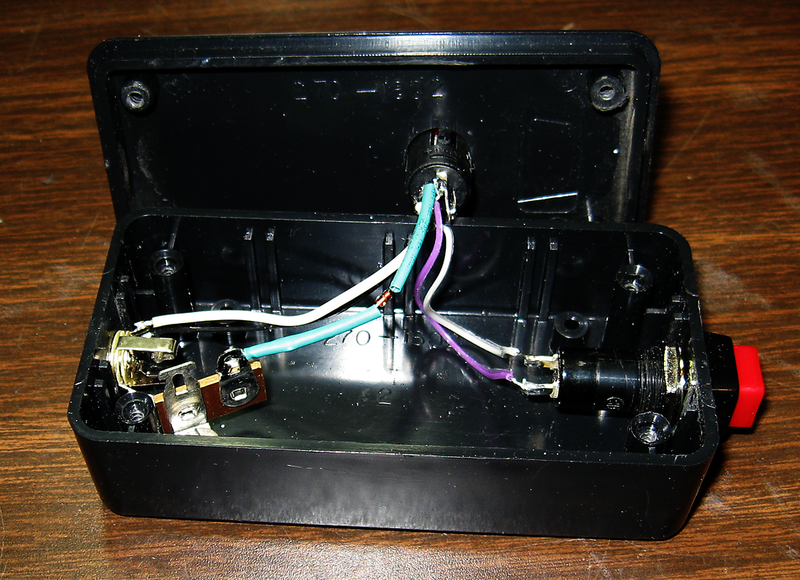 I managed to slip a piece of electrical tape under the edge of the RJ-45 shell to cover the pad. Other than this the overall quality is very good. 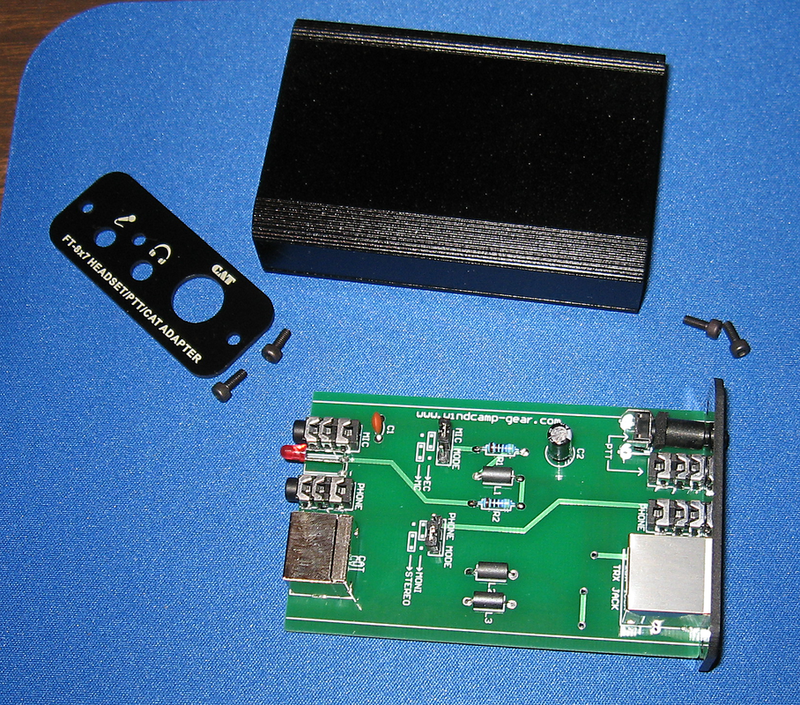 Using parts from Radio Shack I made a hand held PTT Button to connect to the adapter which necessitated a couple of modifications, one to bring power to the hand box for a transmit LED and another to add an opto-isolator into the PTT line to protect the transceiver. The momentary push button I purchased has an internal LED and to power it I jumped from the 5VDC on the PCB to the unused ring connection of the 3.5mm PTT jack with a 4.7K resistor, and then wired the plus side of the LED to the ring of the jack in the handbox. 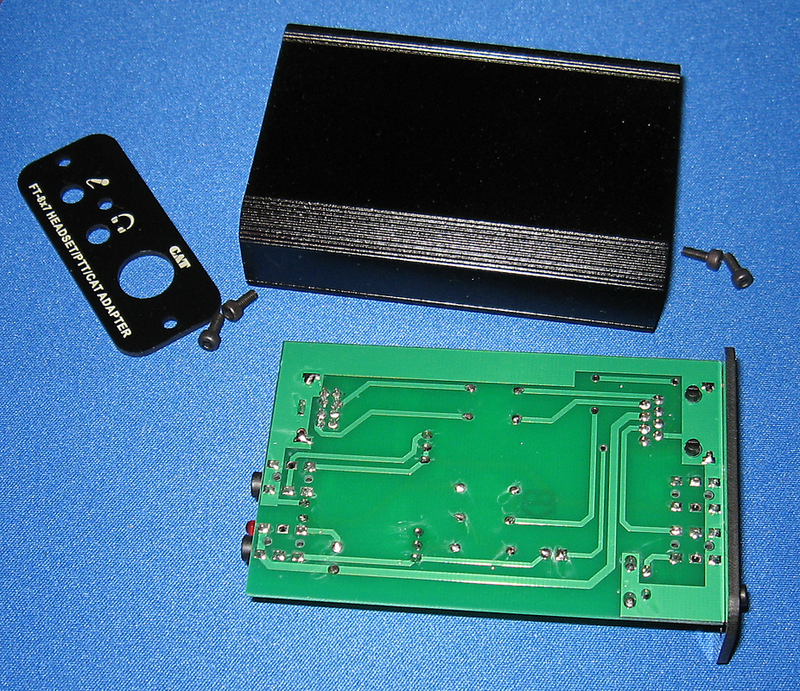 I also drilled a set of holes in the PCB to mount a socket for a 4N33 opto-isolator chip. 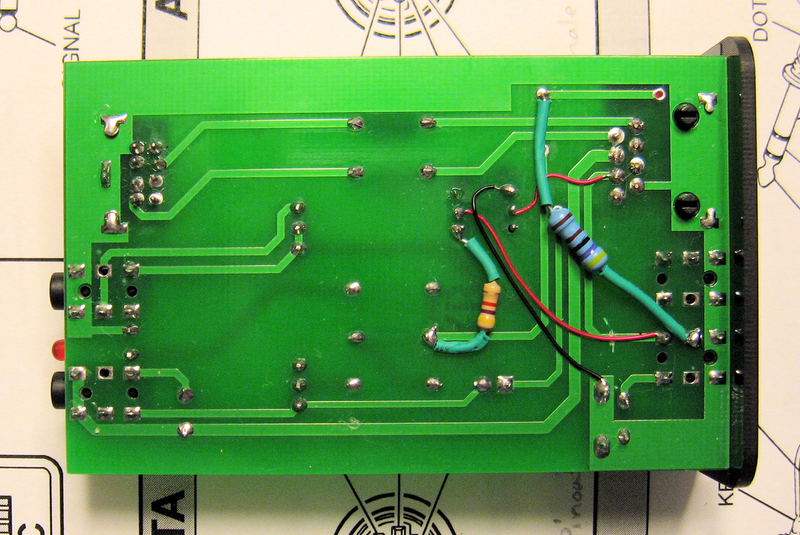 I had to cut the PTT trace on the PCB to insert the isolator into the PTT line. The hand box wired up. There are actually two switches in parallel: the one in the lid is a momentary push button and the one in the end is a push on/push off switch to lock the microphone on for rag chewing. The diode is a precaution to isolate the PTT line from the LED that connects to the same switch terminal. Everything wires to a 3.5mm stereo jack and I use a 3.5mm stereo patch cable as the connecting cord. 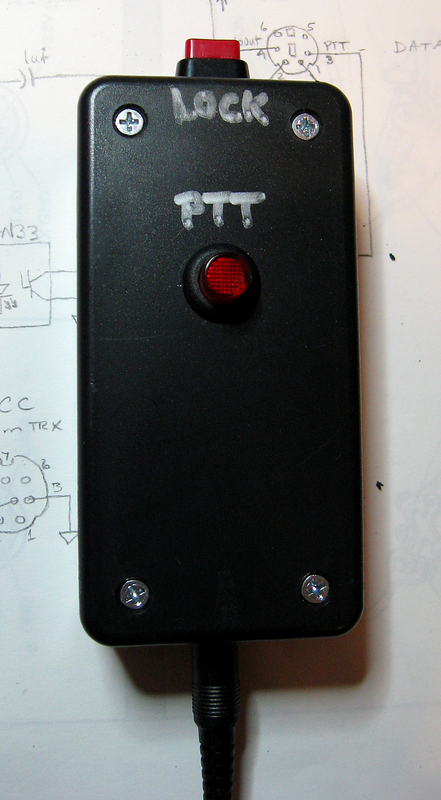 The assembled hand held PTT box with some temporary labels. It fits comfortably in my hand and the buttons are positioned for easy operation with just the thumb and forefinger. The LED inside the switch labeled PTT lights when either switch is pressed. 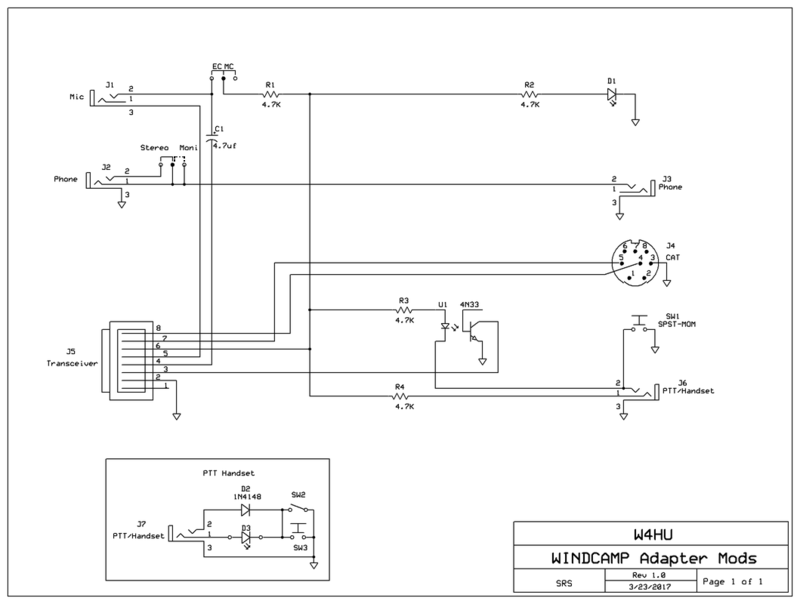 A schematic of the adapter and modifications. 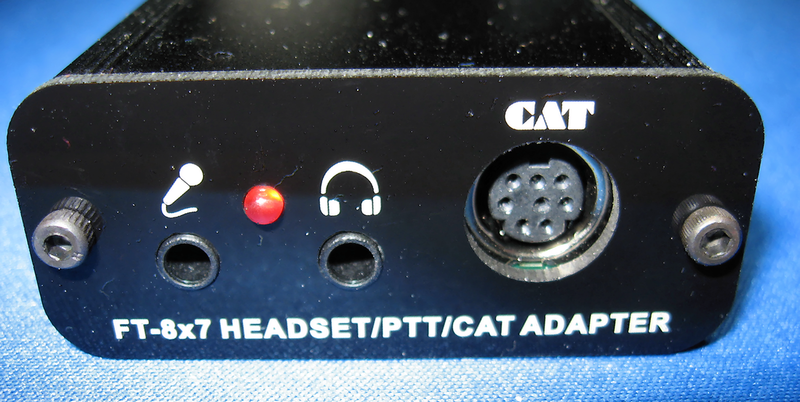 The CAT connector does not work with an FT-817 and was taped over when the unit was reassembled to discourage plugging into it by mistake.